For Town & Country's January 2014 issue, the magazine decided to highlight the Ferragamo-sponsored gala grand opening of the Wallis Annenberg Center for Performing Arts in Beverly Hills. 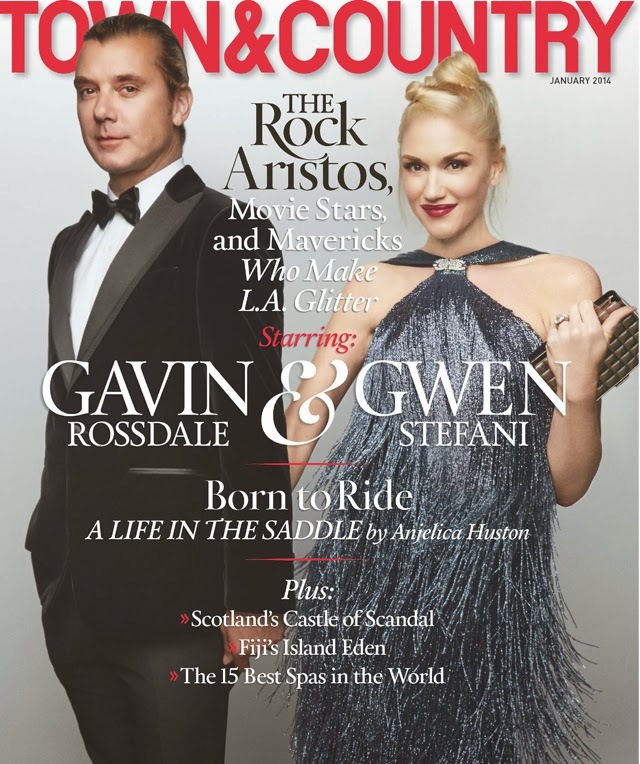 And perhaps the most talked about couple of the night, Gwen Stefani and Gavin Rossdale, were chosen to "headline" the cover issue for the magazine. Glowing from head to toe, a pregnant Gwen Stefani clutches onto her hubby Gavin for the cover shot. And you guessed it, they're both sporting Ferragamo.